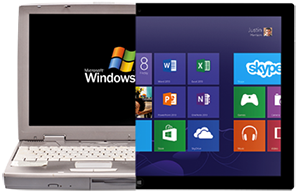 Get 2 Modern Site Updated: Are you Still Running Windows XP/Office 2003? In only a few more days, Microsoft will stop support of Windows XP and Office 2003. If you’re still running either, you could truly be out of luck. We’ve created a new, mobile responsive microsite with not only the latest updates from Microsoft but also a list of all the upgrade promotions available and more information on the impact of the April 8, 2014 End of Support deadline. 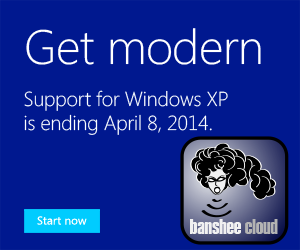 Please visit http://get2modern.bansheecloud.com today!